10 things you can pick for your little ones from the Phoenix Marketcity Kurla's End of Season Sale. Those of you who work in the corporate world or have some family members working in them will agree in unison on the madness which surrounds our lives. Tight timelines, haunting deadlines, lack of personal time are almost an agreed way of life. I am no different. Add to that I am a mom too. So I have a parallel world to manage along with these chaotic professional commitments. But hang on !!! Taking a break is customary too. 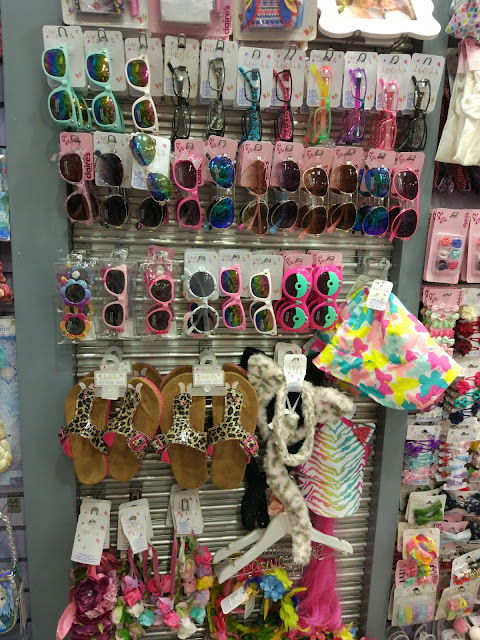 Just as we cut the clutter to make way for new entities, we sometimes need to break a rather harsh routine to make way for some happiness ... and how profound is that happiness if it emanates from Retail Therapy !!! In other words - "We are Sorted" !!! I am one of those who's happiness quotient rises with the sight of the word SALE ... it means half the money and double the fun ... does life get better? 2. 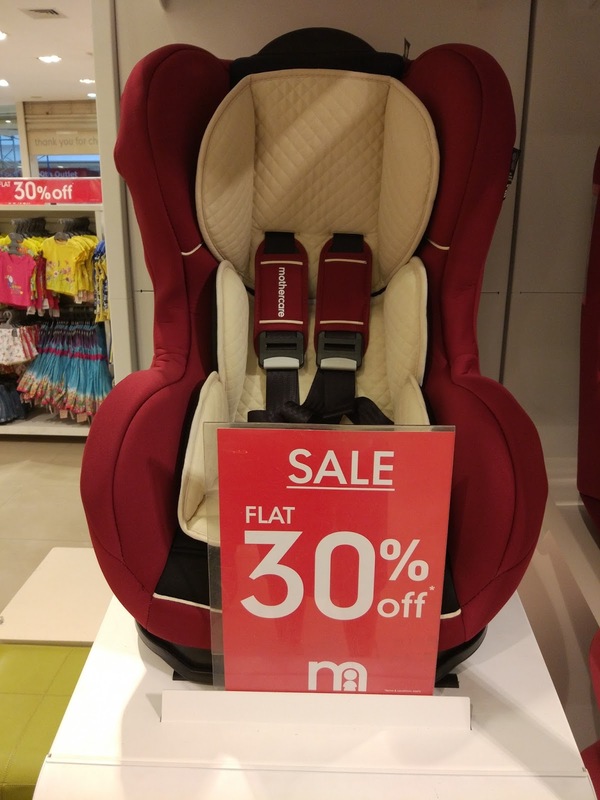 Car Seats from Mothercare: I believe in complete safety of kids & I make it a point to have my son firmly strapped on a car seat at the back. I found a fabulous one at Mother Care at 30% off and that too in a colour of my choice. The original price was INR 6200. 30% off on all boys apparel like t-shirts, bermudas, shorts! Am I dreaming? 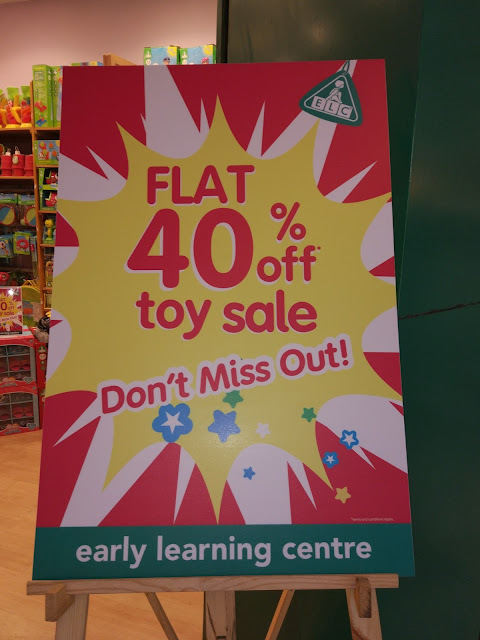 And yes, there's an additional 40% off on all toys too. 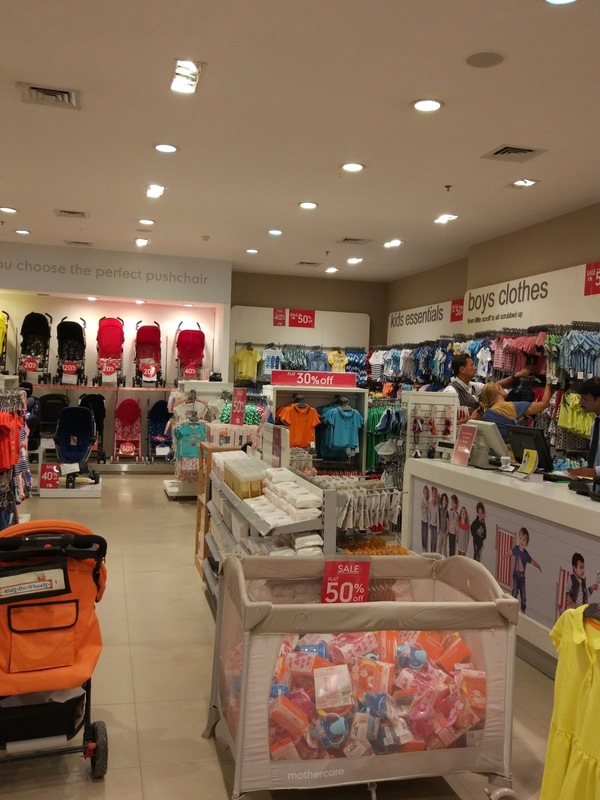 This brand makes most women go weak in the knees and without a doubt their kids section is equally stylish. I picked up a pair of very contemporary and comfortable Linen trousers last year for my son and this year this colourful collection of T - Shirts all at INR 250 and 690 really caught my attention. Such amazing colours and such fine fabric !!! I picked up 5 items in each price category ... yayyy !!! My son loves musical toys. He can spend a considerable amount of time singing his nursery rhymes while playing with these music pieces. Additionally when his friends come over, they too thoroughly enjoy with such toys. 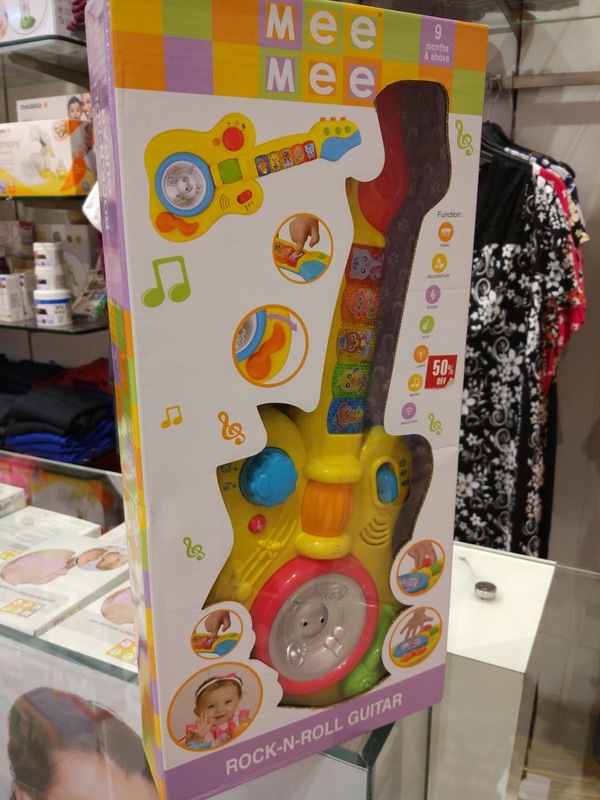 This Rock n Roll Guitar is perfect with kids. 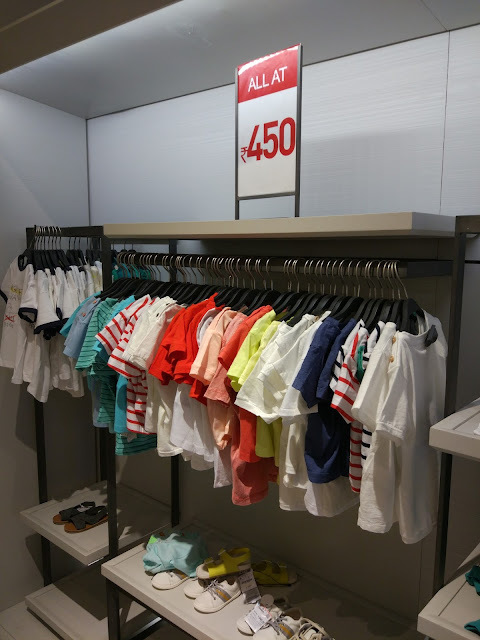 50% off on MRP of INR 1045. I just had to pick it up. I really liked the stocks at Me n Mom. "50% off" on apparels is needless to say, a great bargain. I picked up two T - shirts for my son and a few dresses for my niece. 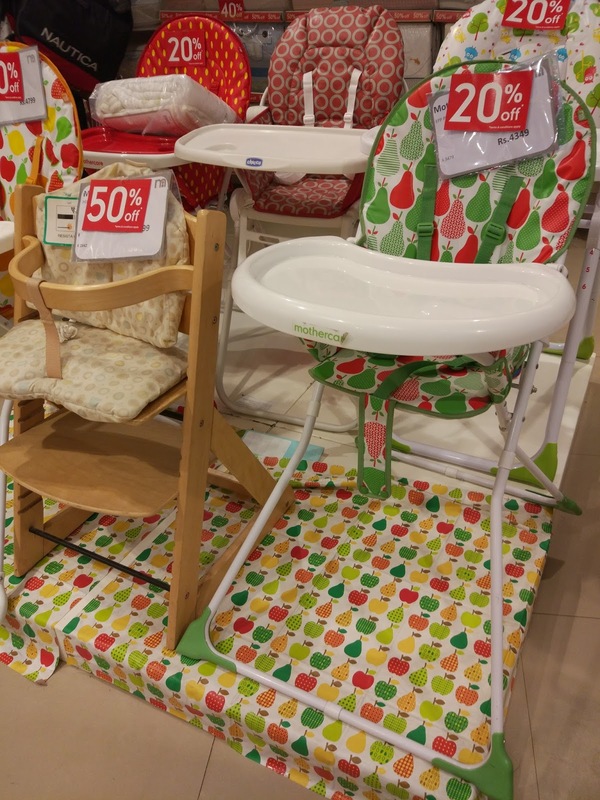 Everything at half price ... wow !!! Kid's Birthday parties !!! When a mother has to balance out her work and mommy life, she needs to be a little well planned and organised. Hence when I spot any good items at a given store or chance upon a good deal, I immediately pick it up without a second though. 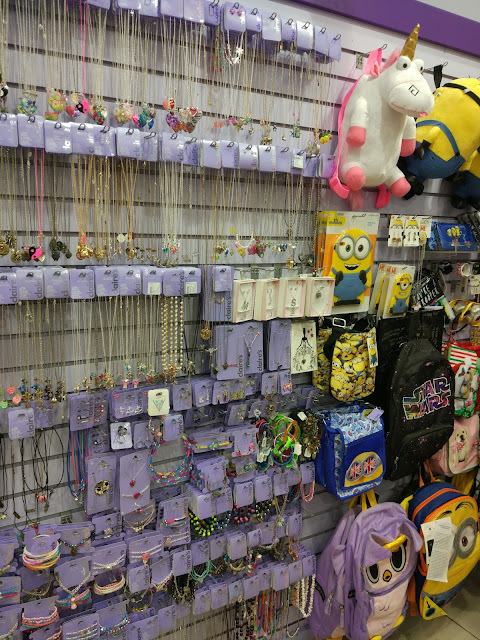 A friend's daughter has her birthday party next month and buying her something cute and fancy from Claire's right now will not only delight the child but will also save me much precious time later. Oh what an exciting world of toys it is at Hamley's !!! Most adults behave like kids in a candy store the minute they set their foot in their premises. Such lovely colours and such exciting toys! you buy 2 apparels, you get 20%off ... so on till 5 outfits where you get flat 50% off. 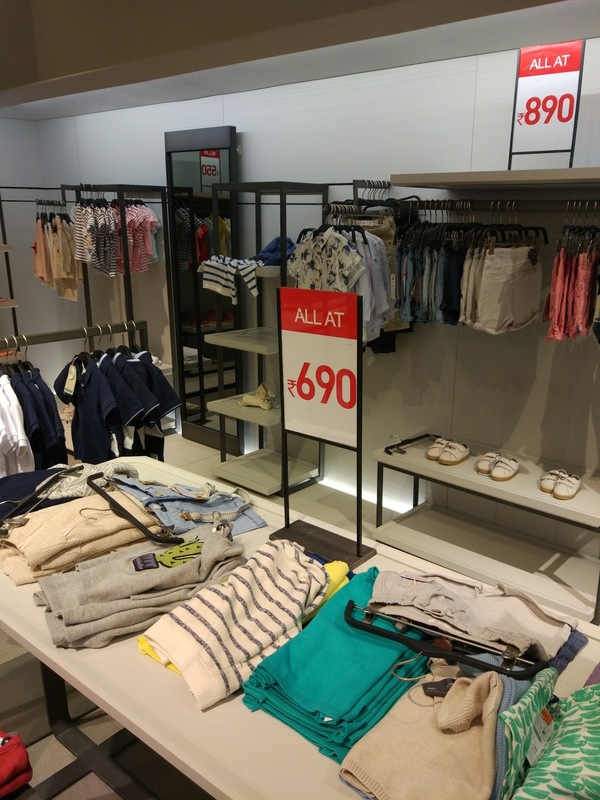 Deals Deals Deals ... Thats what end of season sale at Phoenix Market City Kurla is full off. I had 5 carry bags each in both my hands at the end of this fabulous shopping day. We all work like crazy in our jobs. Meeting targets, finishing tasks, attending meetings; the to - do list is endless. But I never allow work to consume me so much that I don't step aside and smell the roses in a garden, or some freshly brewed coffee at a cafe or simply get indulgent at such pretty SALES !!! I make it a point to create MEMORIES, like I just did at this shopping escapade.